Looking for a new snack that’s low in calories and will leave you feeling guilt-free? During National Celery Month, which is celebrated throughout March, you are encouraged to try out new recipes that are based on or include this marshland vegetable. While most of us are familiar with consuming its stalk, the leaves and hypocotyl (below leaf seed) are also eaten and used in cooking. 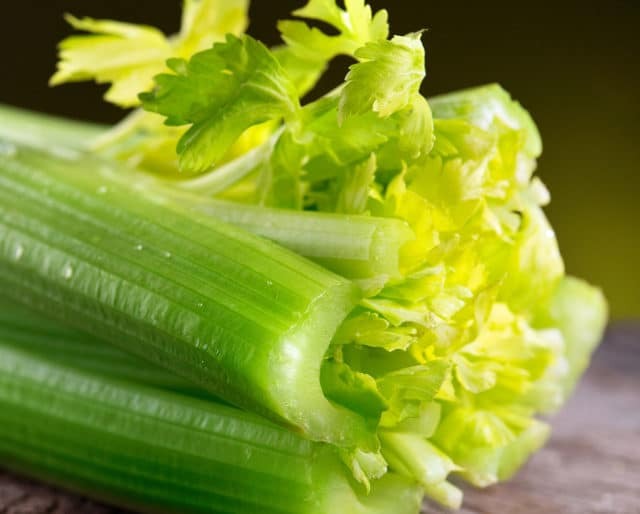 Native to the Mediterranean area and cultivated since antiquity, celery is a great addition to weight-loss diets, it’s relatively inexpensive to buy, and it brings new life to your meals. Celery seed oils were believed to have healing properties. Celery was originally discovered in the Mediterranean area of Europe. You can play celery wars by having a cook-off to see who can make the best or most creative dish with celery included. Celery wars can also be played by using celery as a defensive weapon (sword, etc.) and whoever's celery stalk breaks first, loses the game. It's as simple as reciting your ABC's. You can make flash cards or opt for basic recitation skills. If it's edible, celery can be eaten with just about anything. Be adventurous and sprinkle celery in your spaghetti, or as a side to your pork chops and mashed potatoes. Celery is an excellent source of Vitamin K, Vitamin C, and other vital nutrients such as dietary fiber. By eating celery, due to its high water content, it helps flush out your system in order for your food to be properly digested. It's been said that celery can even prevent gallstones. High blood pressure can lead to a host of issues if left untreated. However, Vitamin K aids in clotting your blood, and celery is chock-full of it. This makes it an extremely heart-healthy vegetable. It doesn't take hours to prepare celery or to add it to a meal. You can make a dish as simple as soup and add celery to the broth, or you can chop up celery and eat it alone with peanut butter or some other dip. Celery also tastes great as an added ingredient to a green vegetable smoothie.